In September we were luckily joined by former Olympic gymnast and Sky News presenter, Jacquie Beltrao, for our annual MP Photocall! 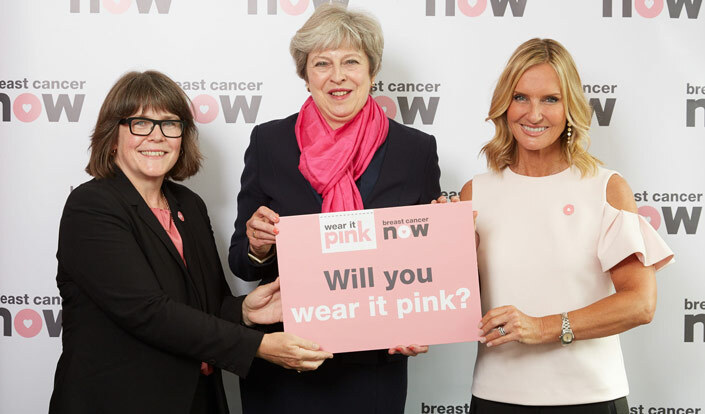 We chatted to Jacquie about her own breast cancer diagnosis and why this inspired her to become a Breast Cancer Now ambassador. When I found out that I had breast cancer it was Christmas Eve of 2013. All of my kids and family were at a friend’s house having a party and I got the call asking me to go in. I really thought that the doctor would tell me everything was fine; it was a cyst or some abnormal little lump or something. When he said, ‘you have breast cancer’ it was like a dream, I couldn’t believe it was happening to me. It took a while for the penny to drop, but when it did I was filled with panic at being confronted with my own mortality. Breast Cancer Now’s aim that by 2050, every woman that is diagnosed with breast cancer will survive the disease is such an amazing goal. How fantastic would that be? Imagine if you were diagnosed and you knew that you’d be fine. It’s such a fantastic goal that I knew that I had to support them. Doctors really know what they’re doing nowadays and the treatment is so specific to the type of breast cancer that you have. There are so many different types of treatment and about 85% of women will survive it. Listen to your doctors and take one step at a time. Look at all the amazing survivor stories to keep you strong over the few months of your treatment. If you can wear it pink on 20 October you’ll be joining so many people doing such a great thing for a horrible disease. It’s all about research – let’s find a way to eradicate breast cancer as a terminal illness. And when we reach the 2050 goal, let’s wear pink all the time! This 20 October we will wear it pink, will you join us?